Foolhouse’s Treasured Bits and Bobbins Boxes are a follow on to Foolhouse Treasure Boxes. The treasure boxes were born out of tireless searches for jewellery boxes for my daughters that were un-bedazzled and unadorned by licensed Disney characters. I was also pretty tired of all my Tupperware containers disappearing into their bedrooms to become the vessels for much coveted bits of fluff, shells, beads and so-called precious detritus they needed to collect … and so these much more attractive treasure boxes were born! Made of Multiply and lined with a patchwork of colour, these sewing boxes are a tangible testament to the raw beauty of wood. 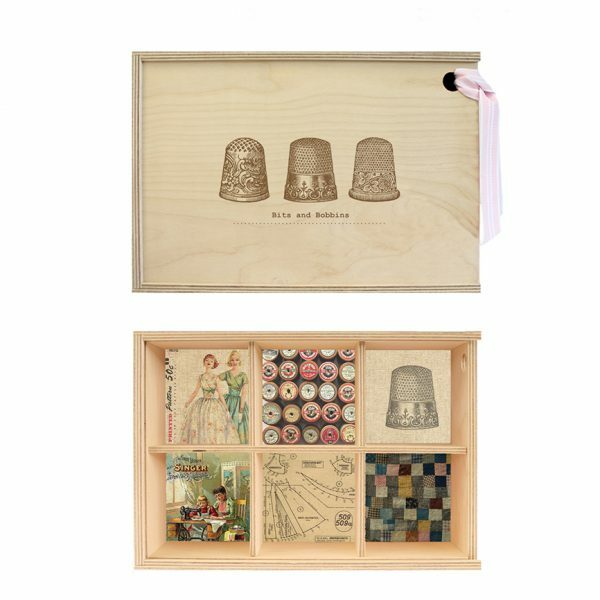 Comprised of 6 individual compartments, they are perfect for separating all important nimble thimble treasures. The dividers can be removed too if the box needs to evolve to take larger objects. The lid slides and is operated by a pull hole which can double to take a padlock. 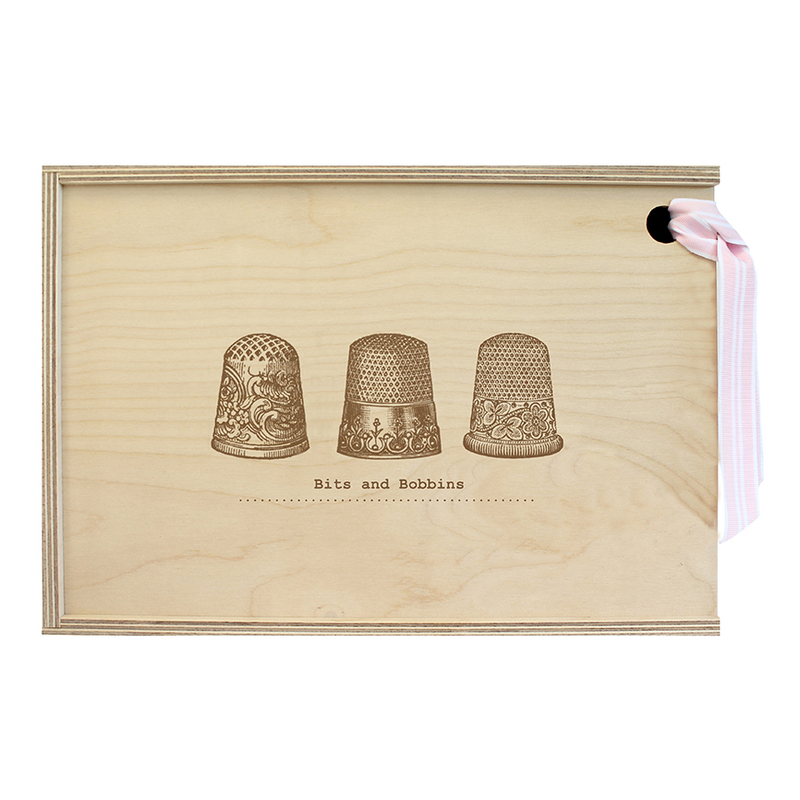 This Treasure Box is adorned with an engraving of three antique thimbles and the words Bits and Bobbins – what bits and bobbins go in here are up to you! For Adults: I cannot put an age limit on this box’s usefulness! 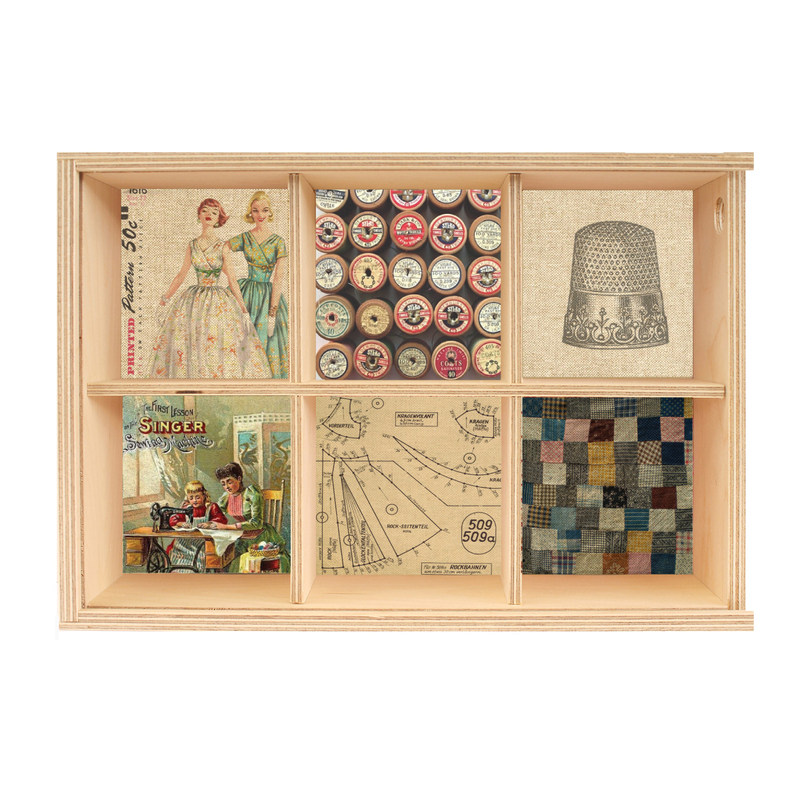 I have had people give them to their daughter upon leaving home – with all the essential sewing first aid required tucked inside – but most of all they are bought or customised for those obsessed with patchwork, quilting or simply the delights of any needlework! 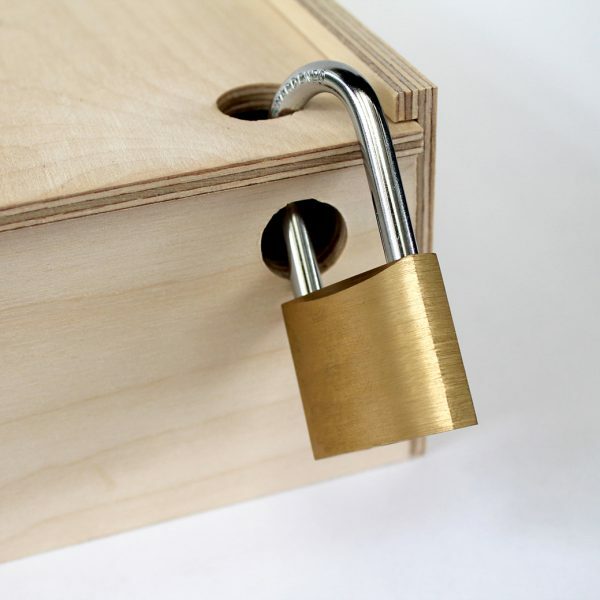 This Treasure Box can be sent straight away!